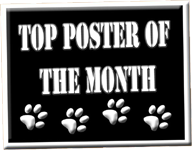 Congratulations to our Top Poster for the month of February! Thank you!!! That is AWESOME!! !